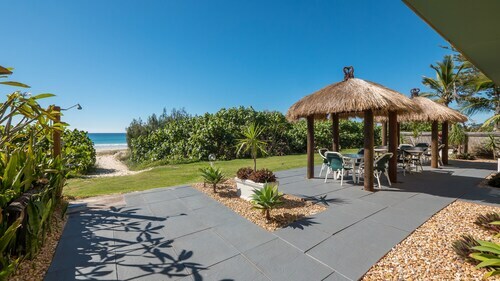 With direct access to the beach, this Bilinga apartment building is within 2 mi (3 km) of Bilinga Beach, Kirra Beach, and Currumbin Wildlife Sanctuary. Coolangatta Beach and Currumbin Beach are also within 3 mi (5 km). 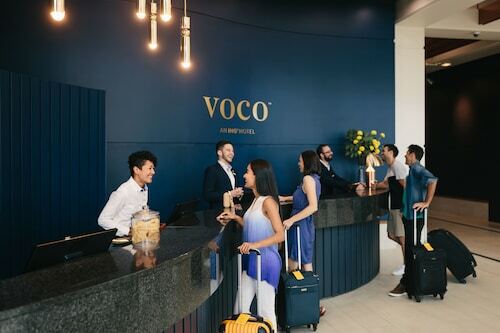 Situated on the boardwalk, this motel is within a 15-minute walk of Southern Cross University - Gold Coast and Kirra Beach. Coolangatta Beach and The Strand are also within 2 mi (3 km). 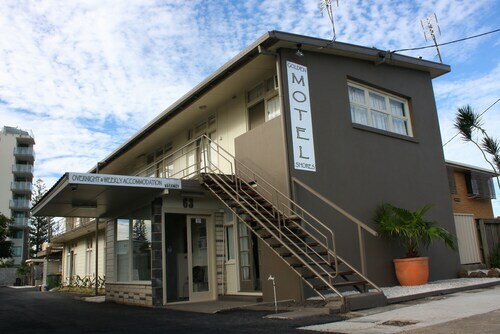 Situated near the airport, this motel is within a 10-minute walk of Bilinga Beach and Kirra Beach. Coolangatta Beach and Currumbin Wildlife Sanctuary are also within 3 mi (5 km). 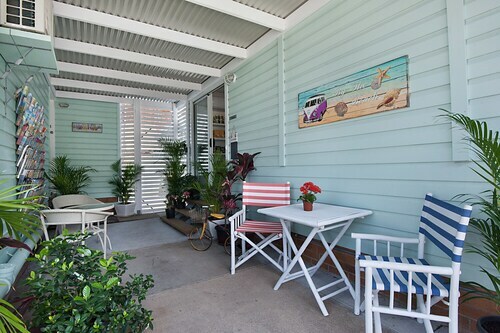 Situated near the beach, this hostel is within 1 mi (2 km) of Southern Cross University - Gold Coast and Kirra Beach. Coolangatta Beach and Currumbin Wildlife Sanctuary are also within 3 mi (5 km). 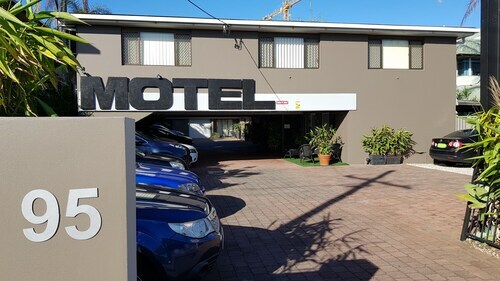 Situated near the beach, this motel is within a 15-minute walk of Southern Cross University - Gold Coast and Kirra Beach. Coolangatta Beach and Currumbin Wildlife Sanctuary are also within 3 mi (5 km). On the southern tip of the Gold Coast, the town of Bilinga is a wonderful beach destination for your next holiday to Queensland. Whether you're looking for adventure sports or a relaxing vacation, you can find it all in this little town that's perfectly situated to make the most of this bustling tourist hotspot. Just book your Bilinga hotel and start planning your vacation today! Bilinga has a huge range of adventure activities to try. Hire a surfboard and head out to quiet beaches, or try your skills just up the road at Kirra Point. It's one of the best places to surf in Australia! Skydiving is phenomenal, and you'll get an unparalleled view of the Gold Coast that not many people ever get to see. Take lessons and learn to kite surf, or simply relax on the beach and enjoy the sun. Love fishing? The Kirra Seawall is the best spot to throw in a line, or try your luck straight off the sand chasing bream, whiting and tailor. You can join whale watching tours and see these majestic creatures in the wild, or get your dive certification and learn how to scuba dive. Coolangatta is less than a 10 minute walk away, where you'll find great shopping and a huge range of cafes and restaurants. 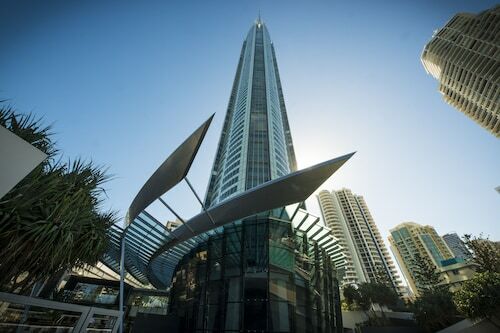 Don't miss the Cooly Hotel for their famous Sunday sessions, or have a drink at the Balcony nightclub and see some of the hottest acts in the music industry today. In Bilinga you're only a short drive away to the biggest and best theme parks in Australia, as well as the wonderful Currumbin Wildlife Sanctuary where you can cuddle koala's and join a one-of-a-kind lorikeet feeding experience. Come visit this peaceful little town on the Gold Coast and you're sure to enjoy your next beach holiday. 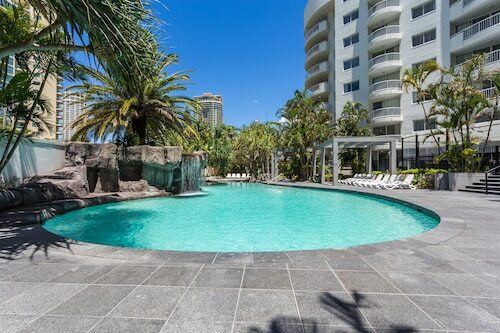 It's easy to get in with a cheap flight to the Gold Coast, and all that's left is to book your perfect Bilinga accommodation. Why wait to start planning your next great vacation! How Much is a Hotel Room in Bilinga? Hotels in Bilinga start at AU$70 per night. Prices and availability subject to change. Additional terms may apply.